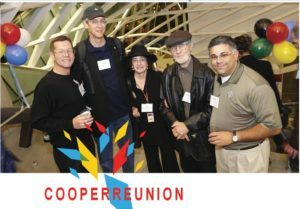 John Huddy was a very active member of the The Cooper Union Community for 30 years. He served on the Alumni Council, the Annual Fund Committee, was Vice President for Alumni Activities on the Executive Committee, and was the Class Representative for his year. In 2008, he and his wife Elizabeth were co-chairs of the annual Founder’s Day Dinner Dance. John was a founding member of the School of Architecture Dean’s Circle, Sarah Amelia Hewitt Society, and The Society of 1859. For 4 years, he was an adjunct professor at Cooper, teaching CE 450. Mr. Huddy was honored as CUAA Alumnus of the Year 2009. He most recently worked for Zubatkin Owner Representation where he was a principal architect. He also worked for Bovis Lend Lease and HRH Construction. This entry was tagged Alumnus of the Year, John Huddy. Bookmark the permalink.